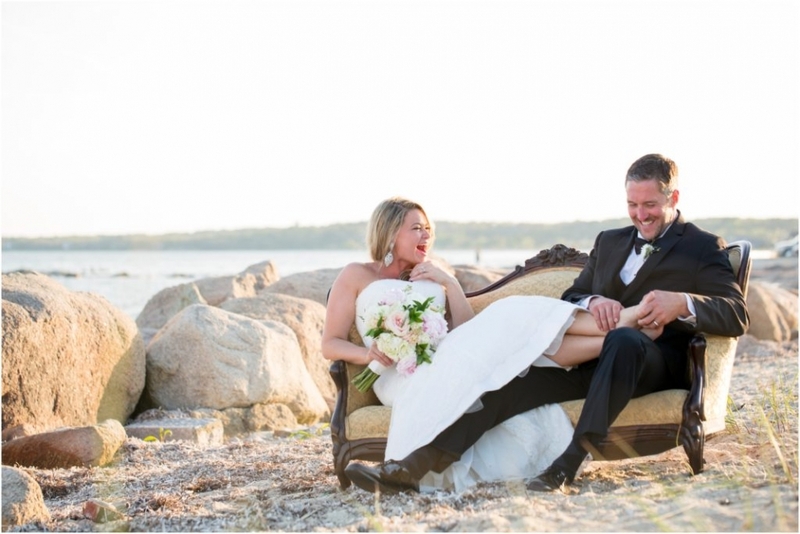 Caitlin and Rob were married on June 13th in 2015, with a ceremony in Falmouth, Massachusetts, and a reception at a historic oceanfront estate. This oceanfront venue was incredibly special to the bride and groom because it was picked out by Caitlin’s dad, Lawrence. Lawrence had vacationed at this home often, and always envisioned his daughter getting married there. So, there was a lot of special significance to the place. What’s more, there was some real history behind the estate. It was said to have once been the home of the Anheuser Busch family, with the stables still standing in their original location. What a treat to photograph! I spent the first few hours with Caitlin and her “bro of honor,” her brother, Conor. She had decided to have Conor take the place of a traditional maid of honor, and the obvious affection between the two of them was a delight to photograph. Meanwhile, my second shooter, Jenee Cook, was with Rob and his best man as they got ready. These two were so easy to photograph during their portraits on the beach. Caitlin was all smiles, and her Marilyn Monroe beauty coupled with Rob’s rugged good looks made my job easy as pie. Add to that the stunning Cape Code background, vintage furnishings by Boston Rustic Wedding Rentals, and the florals by Beach Plum Floral Design, all I had to do was point and shoot! The whole day was filled with laughter and joy. During the ceremony, the last ring bearer, Will, was starting down the aisle when, all of a sudden, he decided to dash toward the altar. You could hear the guests laughing when it happened, but I love those unplanned moments. And speaking of unplanned moments. . . . The strong Cape Cod winds proved to be too much for my photo booth that day. The winds knocked it down, so I had to scramble to repair it. Thankfully, an anonymous friend of the family came to the rescue with tools to help me get it back up and running. The whole time, Caitlin was the ultimate “Bride-Chilla.” She was so understanding and helped me to stay calm and focused on resolving the issue. There were so many little moments throughout the day like that: unplanned, unprompted snatches of time that truly made this wedding unique. For example; just after the ceremony, a lady bug landed on Caitlin. You couldn’t ask for a better lucky charm for your wedding day! I also loved the moment when Rob tried to get his wedding band off his finger to show Caitlin the special engraving on it. He couldn’t get it off at first, and we had a good laugh about it. Really, Rob stole the show so often when I was capturing the photographs of the day with the look he was giving Caitlin all the time. So often, I caught him gazing lovingly in her direction. My favorite moment was when he suddenly decided that he wanted to give Caitlin a foot massage during their newlyweds portrait session. It was a unique and beautiful moment that perfectly captured their love. Caitlin & Rob, you two look like a couple straight out a bridal magazine. Thanks for letting me document your midsummer night’s dream (not in the Shakespearean sense). It was so much fun being your wedding photographer! After shooting their engagement photos and video, this happy go lucky couple had me hooked. They radiate love for one another making it easy for me to do my job at their Le Moyne College nuptials and gorgeous Skaneateles, NY rustic barn shindig. Thanks again Alex and Erin! Erin + Alex’s Vignette from Flavio D Photography on Vimeo. 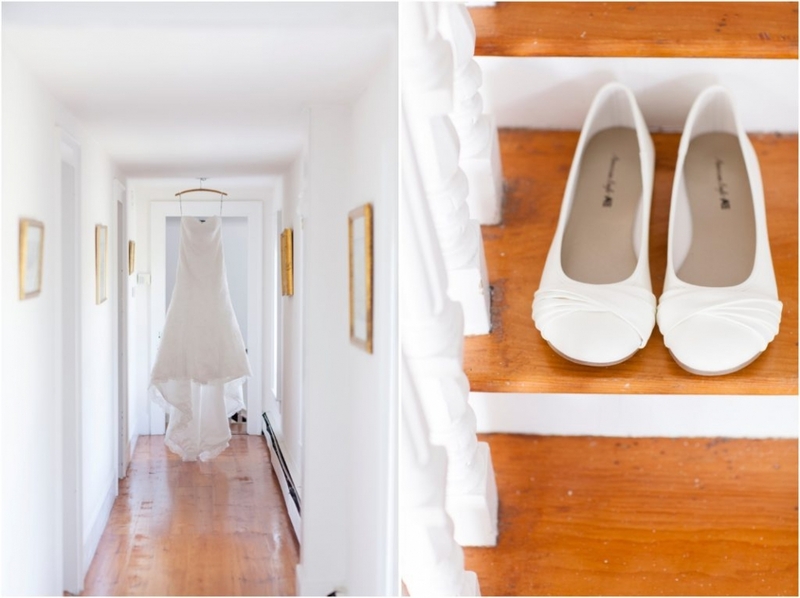 A fun photojournalistic look at Erin & Alex’s Skaneateles New York Barn Wedding. After enjoying the video please share it with your friends and family. Please also check out the amazing engagement video we shot for them! Erin + Alex from Flavio D Photography on Vimeo. Details, Details, Details! This wedding was all about the details! Thanks to Sarah of TenPenny Creative and her amazing wedding styling. It made my job a breeze. I’ve been lucky to known Sarah & Nildo for a few years now (Yes Sarah the Bride and Sarah the Wedding Creative are the same person) but it wasn’t until after their glamorous/rustic wedding that I came to call them friends. Thank You, Thank You, Thank You for letting me into your circle. Ashley’s beauty, style, intellegance and big heart combined with Julliehus’s mild mannered confident personality would leave many cosmopolitan couples envious. Their Big New York wedding was grander than I could have ever imagined. Thank you Mr. and Mrs. Clarke, for letting me be a part of such a lovely celebration!